This section view is a mess! 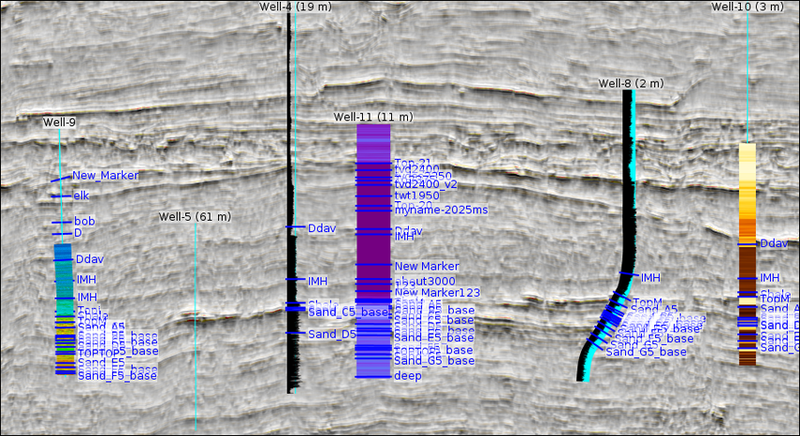 These wells are not consistent -- some have different thicknesses, and the selected logs are all over the place. Let’s adjust the display to improve the output for our report. We could click each well and adjust the parameters individually... but we have a much better idea. First, let’s select the wells. Holding shift, click a starting and an ending well. This combo selects everything in between. 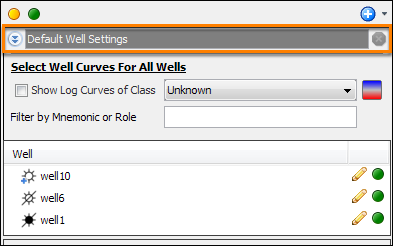 Holding control, click individual wells. This is great for picking a few winners. If you organise your wells into folders, click on the folder instead of the well. Your changes will affect all the wells inside the selected folder. Type Control+F to bring up the search window. Enter the search text, then click “Select Results”. This finds those wells no matter where they are hiding. With your wells selected, the control panel updates to show you their parameters. Any changes will be applied to the currently selected wells. If the wells in the selection have different settings, you’ll see ranges of values, “«Multiple»” for selections, or “▣” for checkboxes. If you update these settings, all the wells will switch to the new value. 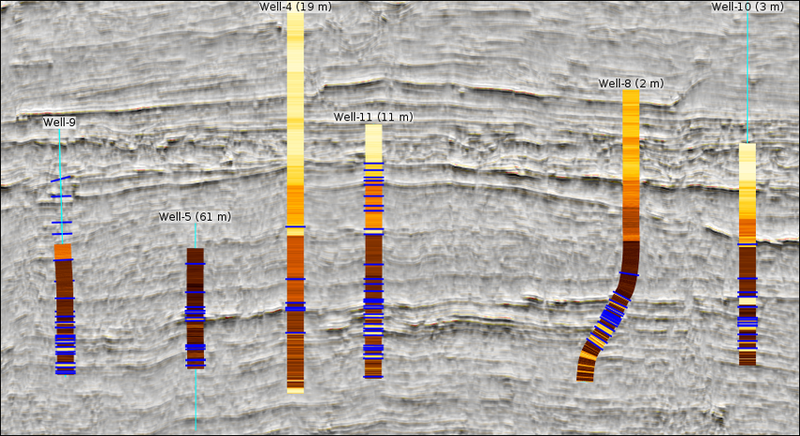 In our example, you can see that the section path thicknesses for the wells vary from 1-4, and that there are «Multiple» different marker display settings. Finally, if you’re looking for a quick way to set the displayed curve for all wells, head up to the “Default Well Settings” at the top of the Control Panel. 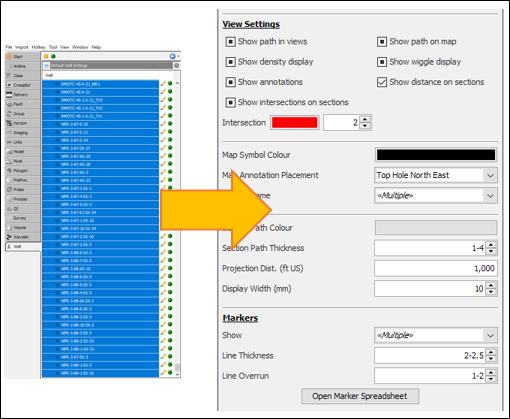 Click the Show Log Curves checkbox and select the class. Easy! With everything updated, things are looking so much better! Enjoy Insight!